Have you ever been to one of your favorite fishing spots and found you were the only one in sight? Did you think either no one was fishing that day or few people knew about your spot? Or maybe, you pondered whether you were missing “the bite” somewhere else? 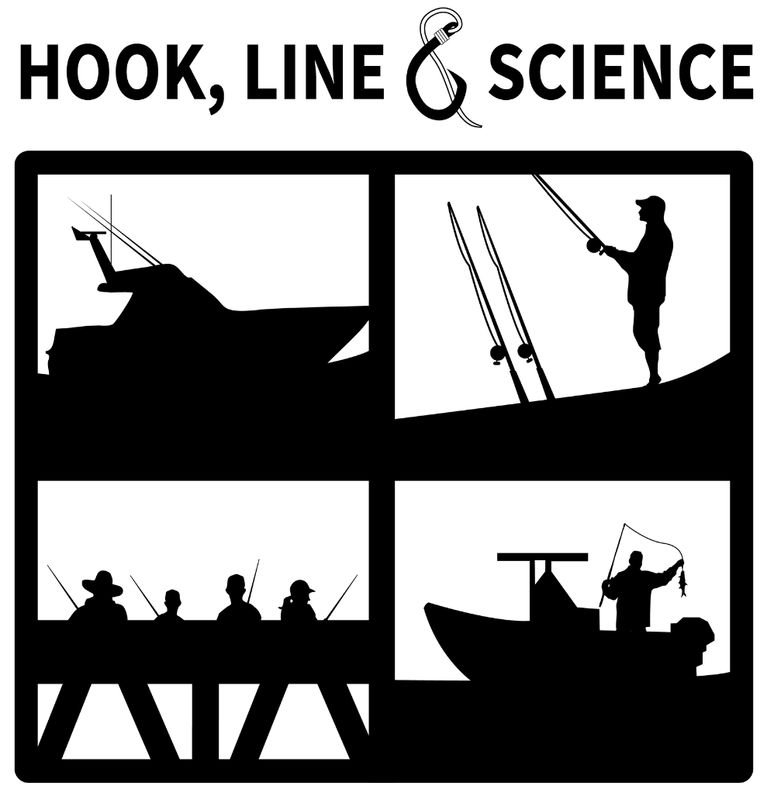 What if there was a way to see how much boat traffic occurred at various fishing locations without actually being there in person to observe it? Knowing whether anglers prefer one reef type more than another can help to assess the value of reefs for fishing and enjoyment, as well as characterize the economic impact of natural and man-made fish habitats. To better understand where anglers prefer to fish, researchers studied four pairs of artificial and natural reefs in the eastern Gulf of Mexico off western Florida, where a lot of artificial and natural reefs are in close proximity. 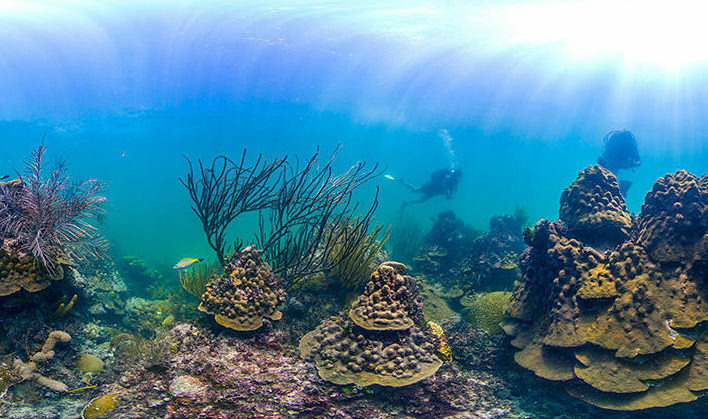 Scientists calculated boat visitation rates for these reefs using underwater acoustic recorders, collecting digital sound files over almost two years. They then developed a computer program to automatically identify boat noise and to separate that sound from any others present at the reef locations. Once the boat engine sounds were isolated from all other background noises, the scientists developed a procedure to count individual boats at each reef site for each day of the study. With this information in hand, they compared visitation rates between natural reefs and nearby artificial reefs. They looked at two inshore and two offshore reef pairs. In all four artificial-natural reef pairs, visitation rates were much higher at the artificial reef than at the natural reef. 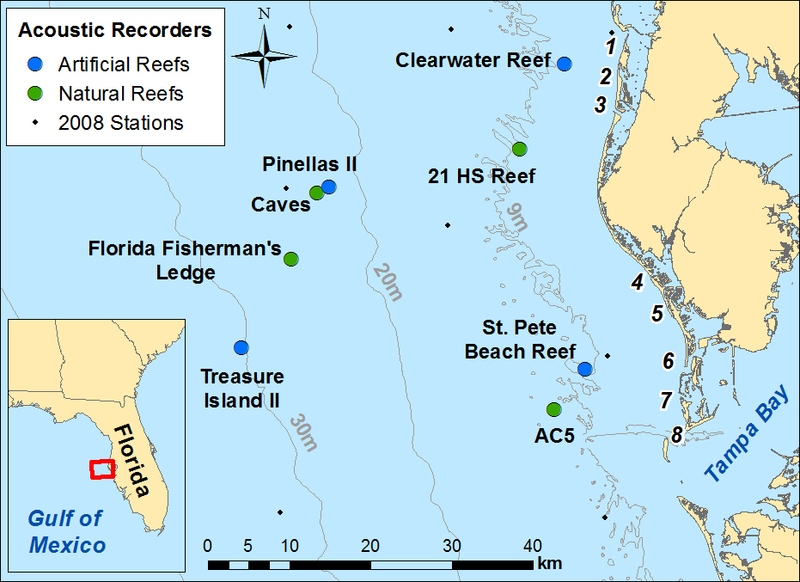 At the inshore locations, visitation rates at the artificial reefs were approximately 10 times higher than those at natural reefs. The difference in visitation rates between paired offshore locations was not as dramatic: only two times higher for the artificial reef in one pair and eight times higher for the artificial reef in the other pair. During the study, visitation patterns were a bit sporadic for inshore locations, with peaks occurring in the warmer months, but fairly consistent across seasons for offshore locations. The researchers felt that the increase in boat visitation patterns at artificial reefs was likely due to (1) actual or perceived increased quality of fishing and diving at these locations, and (2) lack of knowledge of the presence or location of nearby natural reefs. The research team documented that the background noise collected with the recorders was highly variable and made the automated detection process of boat noise difficult. Fine-tuning the detection process to better eliminate background noise or to better identify boat noise could make this type of study easier to replicate in other locations. « Will Fish Move as the Atlantic Warms?